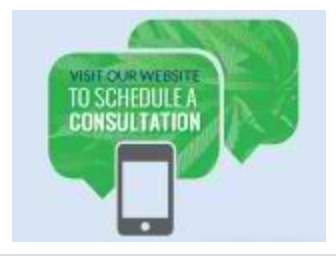 The trusted medicinal cannabis information resource now offers one-on-one phone or Skype consultations to help patients and caregivers navigate the world of medical marijuana. I cannot express my gratitude enough. I felt as though you took me by the (virtual) hand and guided me to a potential cure for my husband. You expressed true concern and compassion, so much so that we boarded a plane bound for California the next day. The conflicting messages from the media and groups in the medical cannabis industry can leave seriously ill patients and their caregivers overwhelmed and confused. Patients seeking to improve their quality and length of life often find themselves wading through a swamp of misleading information and dubious claims. The people at United Patients Group have experienced these struggles first-hand, and they have dedicated themselves to helping medicinal cannabis patients find their way. Building upon the patient-first approach of the http://www.unitedpatientsgroup.com website, UPG now offers a live consultation service, offering information and guidance to patients across the world via Skype or telephone. UPG makes cannabis approachable, especially for patients and family members who have never used cannabis in the past. “Every day, we offer emotional support as we extend a ‘virtual hand’ to patients and caregivers to help them get the medications they need, in many cases, to live,” said John Malanca, founder of United Patients Group. Consultations are conducted by John and Corinne Malanca and their team of cannabis concierges, who are as empathetic as they are knowledgeable. “I cannot express my gratitude enough. I felt as though you took me by the (virtual) hand and guided me to a potential cure for my husband. You expressed true concern and compassion, so much so that we boarded a plane bound for California the next day,” declared one caregiver after a consultation with United Patients Group. or for more information, go to http://www.UnitedPatientsGroup.com. 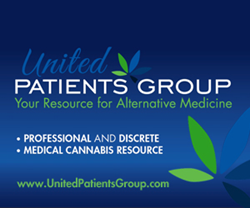 United Patients Group (http://www.unitedpatientsgroup.com) is a discreet, safe, and professional online medical cannabis information resource for prospective and current patients, caregivers, and medicinal cannabis industry professionals.